Kamen Rider Zangetsu Stage Play Home Theatre Release Info! 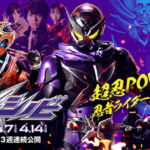 The Kamen Rider Zangetsu Stage Play opened up in Japan last week on March 9th, and if you aren’t able to fly to Japan between then and March 31st 2019 to go see it then we have some very good news for you; as you may have already guessed from the title, the Zangetsu Stage Play will, in fact, be getting a home theater release in the near future. Both the Blu-Ray release and DVD are currently up for pre-order on Amazon Japan as of the time of this writing. 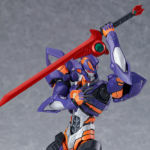 The DVD will retail for 6,261 yen while the Blu-Ray will retail for 8,669 yen and will also include the DX Kamen Rider Zangetsu Kachidoki Arms Ride Watch. Either way, both will see release on October 10th 2019. 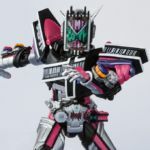 South Korea to Dub Ryuusoulger as Power Rangers Dino Soul! 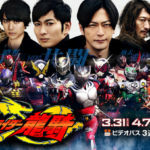 In a rather surprising turn of events, we’ve just recently learned that the next Super Sentai dub to air in South Korea will not be last year’s Kaitou Sentai Lupinranger VS Keisatsu Sentai PatRanger, but rather the 43rd Super Sentai series: Kishiryu Sentai Ryusoulger which is set to debut later this weekend. It’s no secret that Zyuden Sentai Kyoryuger was a big hit over there, which saw release in South Korea under the “Power Rangers Dino Force” title. It was such a success that an entirely new sequel series titled Dino Force Brave was put into production. South Korea chose to skip Lupin VS Pat, for now, is likely a reaction to the numerous similarities Ryusoulger has to Kyoryuger, and how well that series did over there. it is currently unknown if Ryusoulger will see a simultaneous air time in Korea as it does in Japan, or if there’ll be a delay between episodes but we’ll be sure to bring you an update on the situation as more info becomes clear. 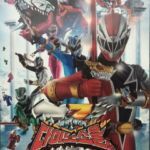 UPDATE: We now know that the Ryusoulger dub will begin airing in August 2019. 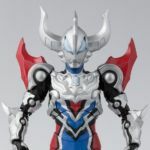 Earlier last month, Bandai teased us with the release of an S.H.Figuarts Ultraman Geed Magnificent figure, we now have confirmation on when we can expect this magnificent looking figure to release. 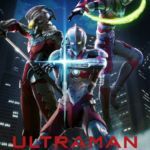 S.H.Figuarts Ultraman Geed Magnificent is scheduled to release in August retailing for 7,020 yen before middleman fees and shipping. You can find the pre-order link by clicking here. 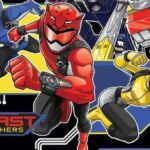 Power Rangers Beast Morphers: Episode 2 Clip Online! 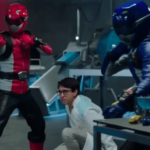 With Power Rangers: Beast Morphers having made it’s grand debut last weekend, and it’s toys having been found in Canada, the show is finally in full swing and a preview clip for the 2nd episode titled “Evox’s Revenge” was just released online.